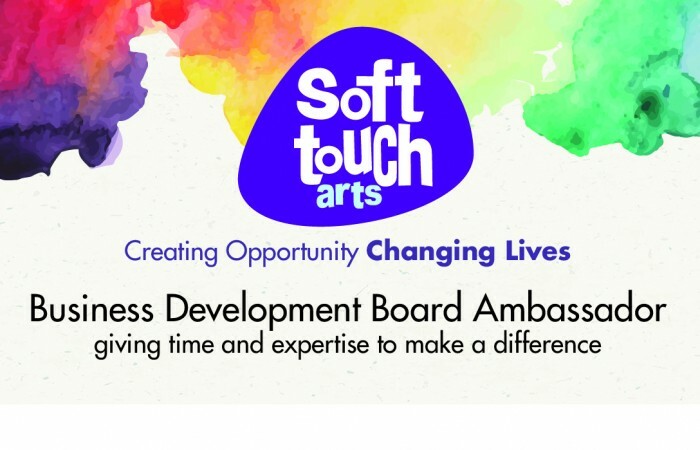 The Soft Touch Arts Business Development Board is a group of influential and passionate local business leaders who are committed to giving time and expertise to help ensure the sustainability of our charity. The group complements and adds to the skills and strategic work of the Soft Touch Management Board. The board is a structured committee that advises and takes action on 'increasing income into Soft Touch Arts from businesses, partnerships, traded income and sponsorship'.